I finished this book a few days ago. 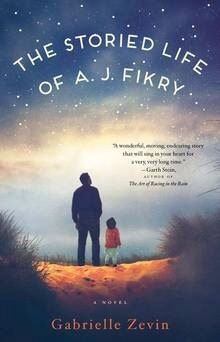 It’s the story of a bookseller living on an island and how he travels through grief and life to find happiness. I found it moving and very funny at times. The main characters A.J. and Amelia both have equal airtime in the beginning but for some reason Amelia gets dropped for A.J.’s story leaving me wondering what happened to her even after she rejoins the story. I wanted to know more about her, she was such a developed character in the beginning. The other threads of the story bring a lot of interest and keeps you reading so not all is lost. I enjoyed this book overall. Next Next post: Cranberry Swirl finished!